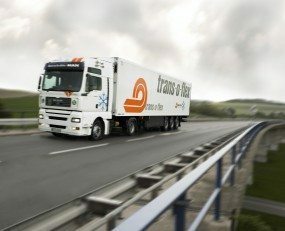 The trans-o-flex logistics group is planning to open a new logistics centre in Driedorf, Hesse, Germany. The aim is to sort and transport pharmaceuticals and other sensitive and high-quality goods more effectively. An investment of €17m in a new sorting centre will prepare for a new generation of electric vehicles. The centre will be built next to an existing solar park and will have a solar power system on the roof. trans-o-flex hopes to use the power it generates itself to operate the sorting plant and control the temperature in the vehicles before loading or to charge batteries. It will feature a joint hall of trans-o-flex Express and trans-o-flex ThermoMed for transhipment with active temperature control at 2 to 8 and 15 to 25 °C. Construction work is scheduled to begin in the 4th quarter of 2019 and operations starting a year later. “We chose this location because it is ideally located for our two networks, trans-o-flex Express and trans-o-flex ThermoMed.” said Wolfgang P. Albeck, CEO of trans-o-flex. “Without having to drive through Driedorf, the trans-o-flex vehicles, starting from the 39,000 sq m site, can reach the B255 east-west link in one minute and the A45 south-north link in nine minutes. “In addition to this, we also plan further synergies between our various networks so that goods in the ambient range from 15 to 25 °C as well as in the refrigeration range between 2 and 8 °C will be handled at the new location.” added Albeck.